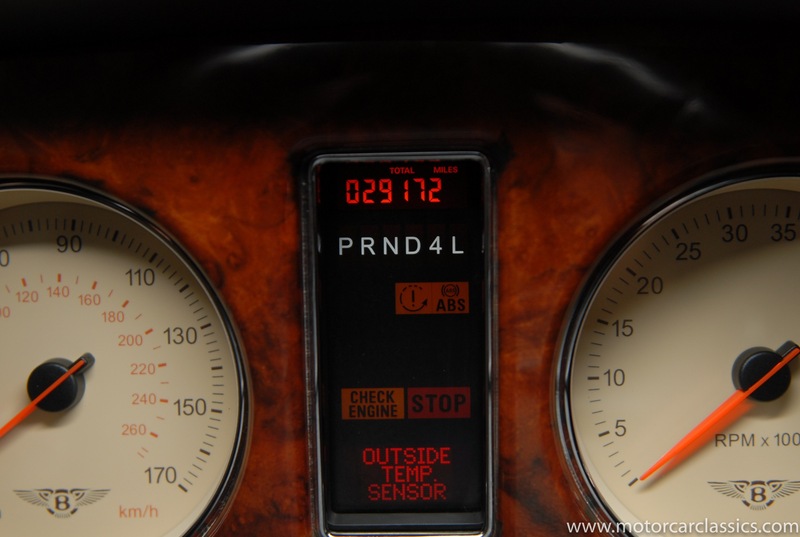 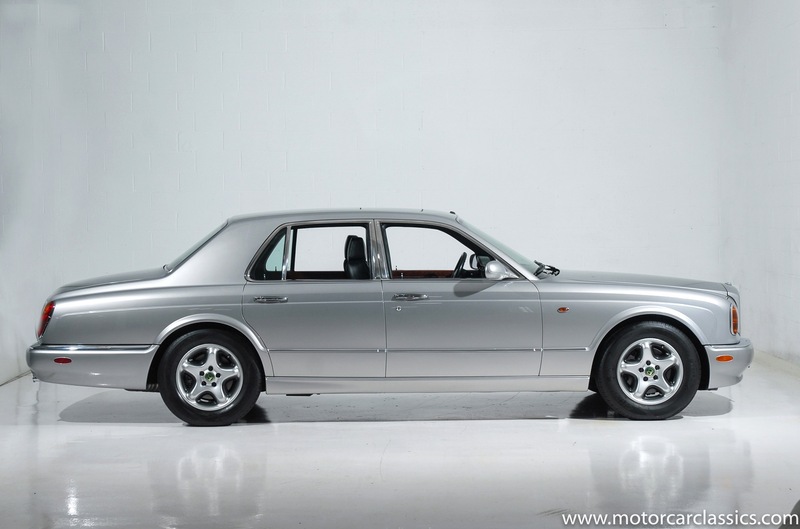 1999 BENTLEY ARNAGE GREEN LABEL for sale. 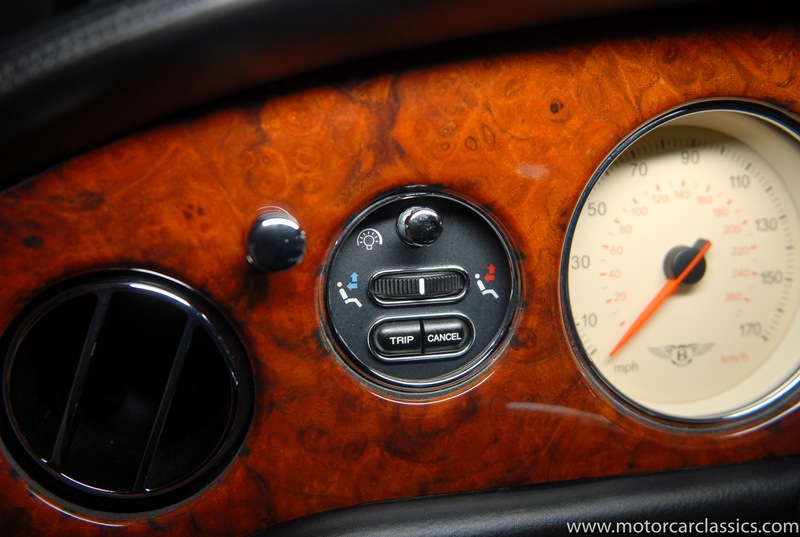 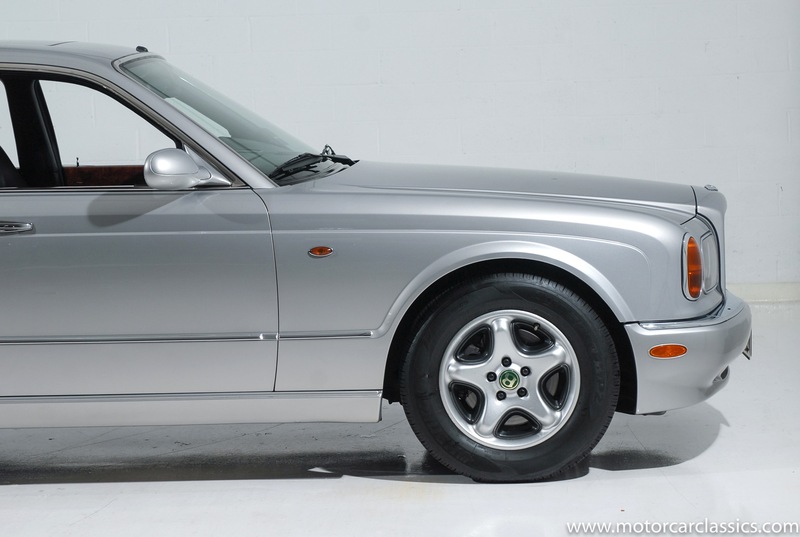 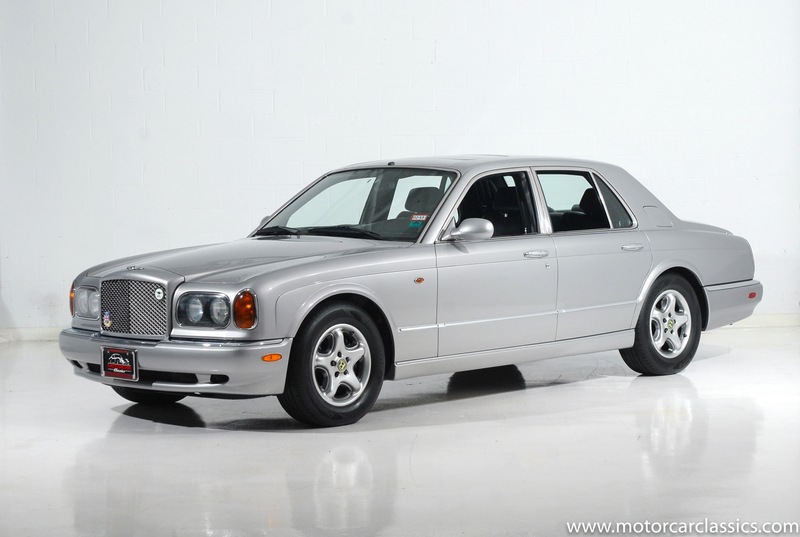 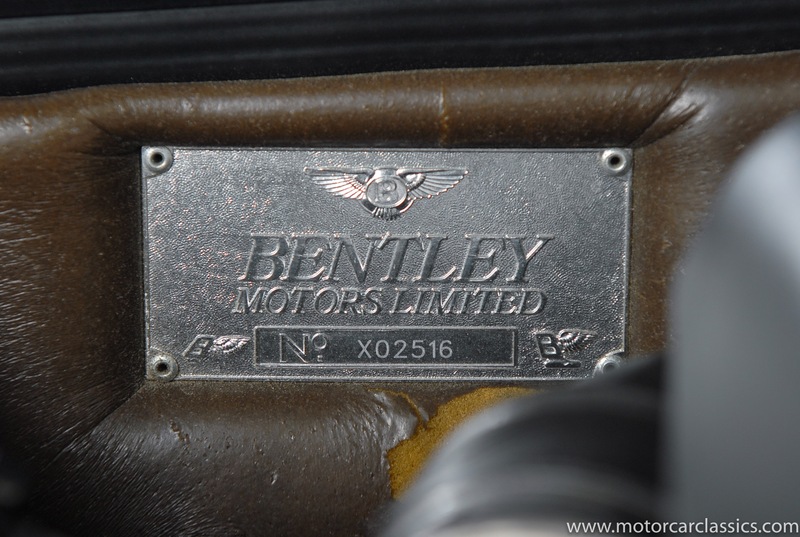 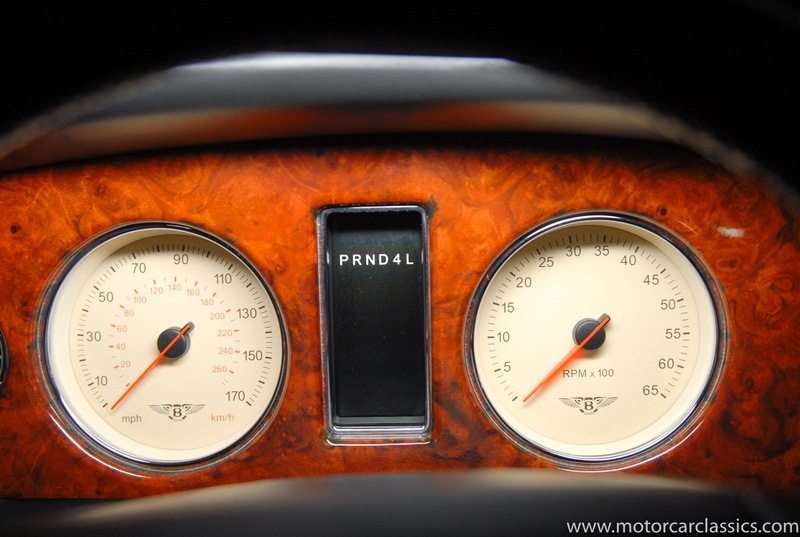 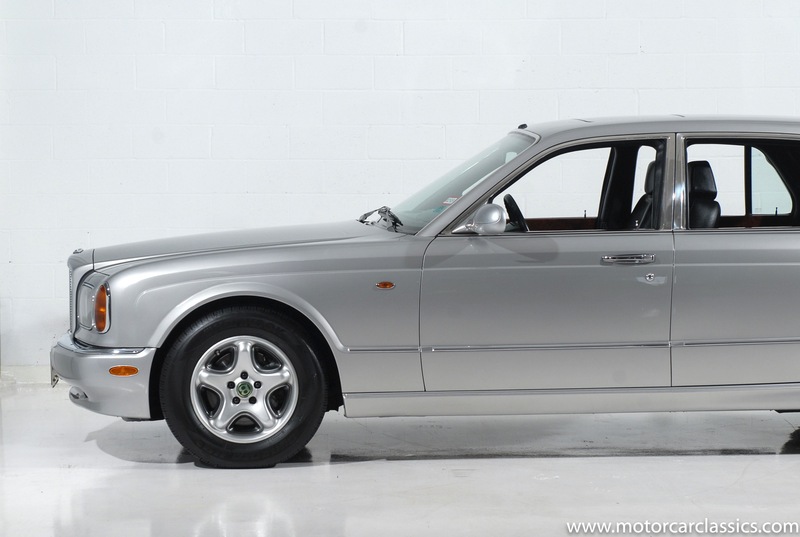 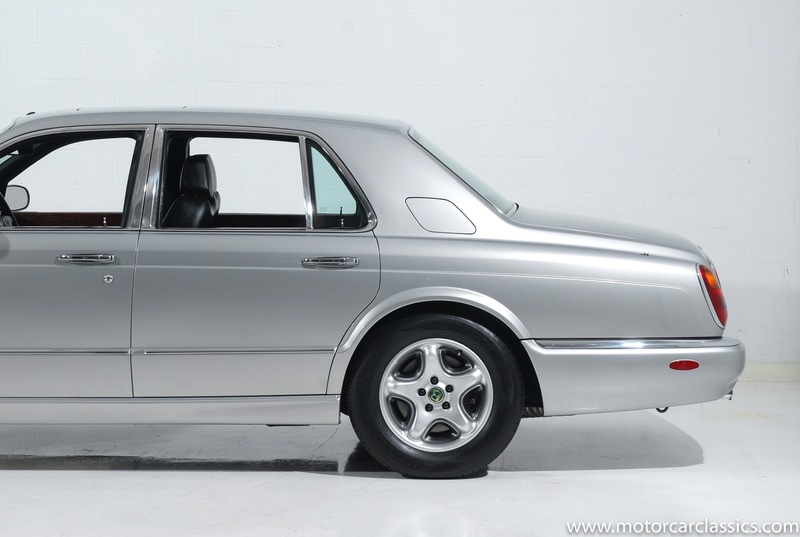 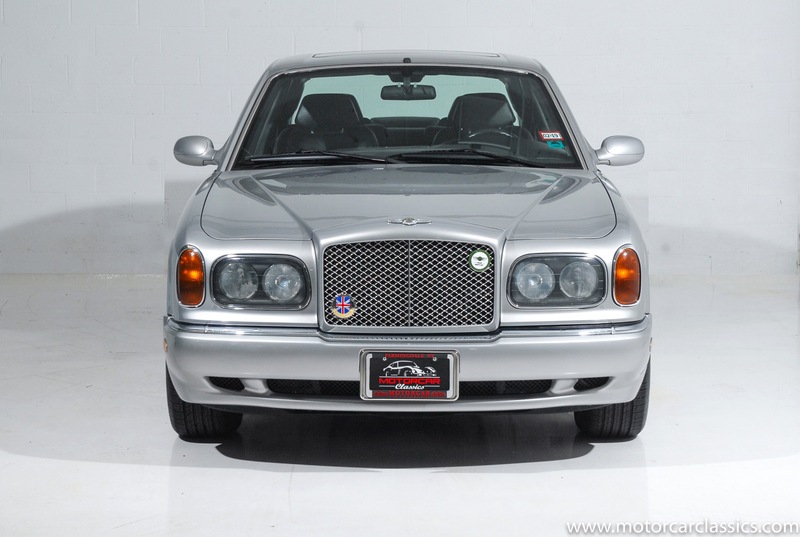 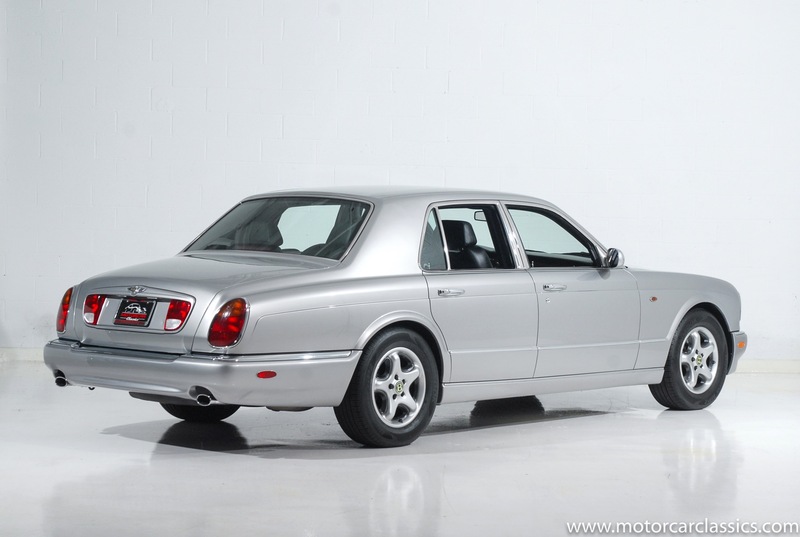 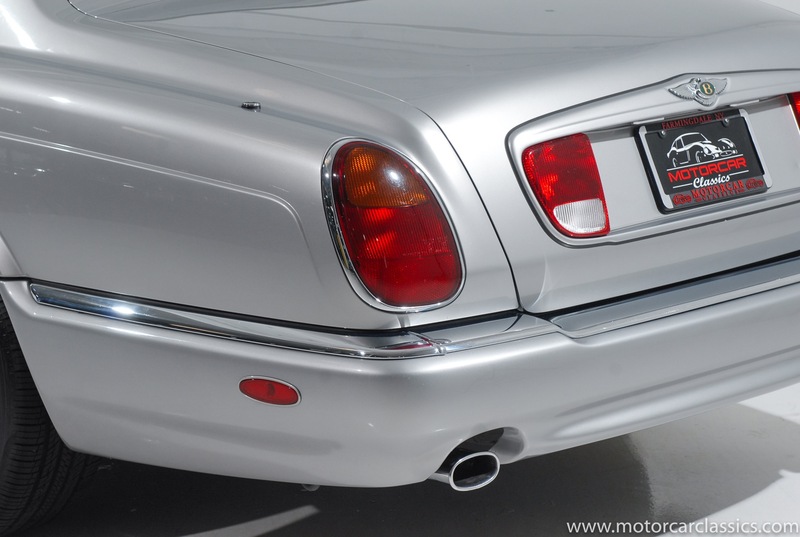 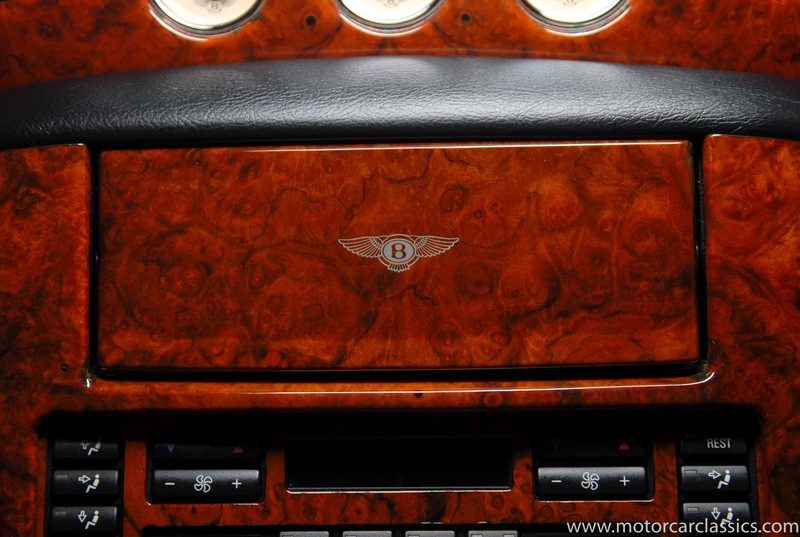 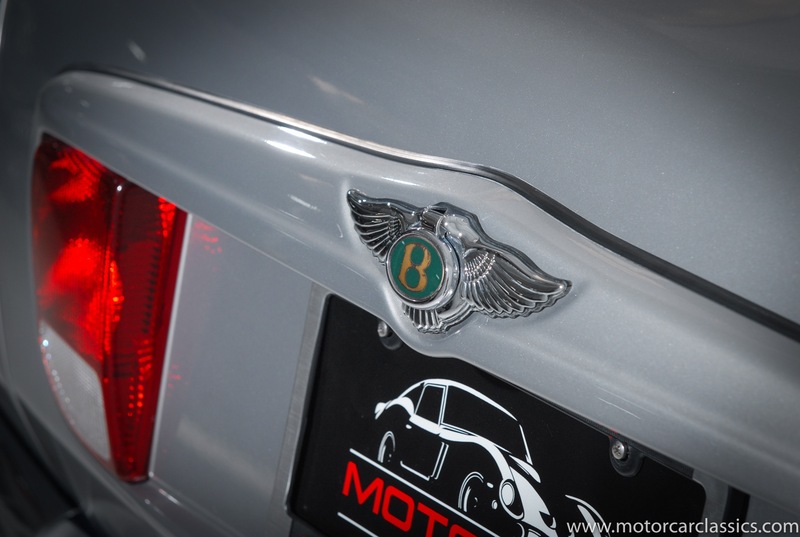 Motorcar Classics is proud to present this exceptional 1999 Bentley Green Label Arnage. 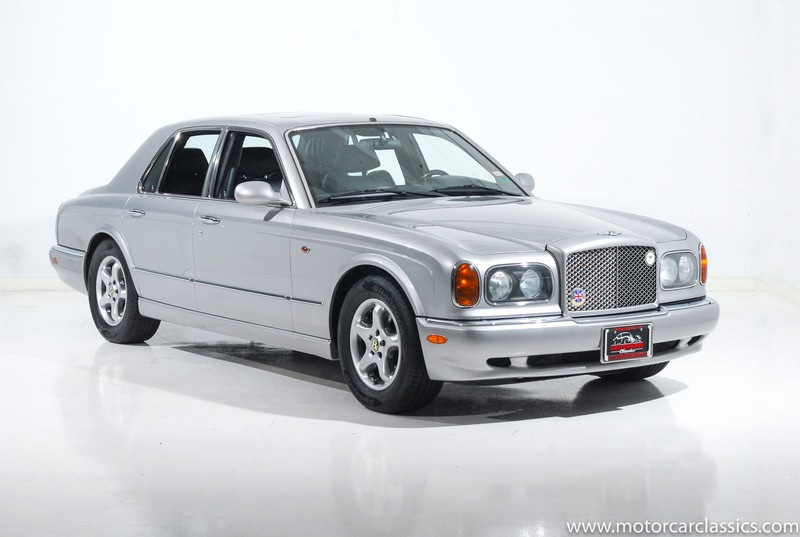 This Arnage shows just 29k miles and is a two-owner example acquired by the second owner in 2015. 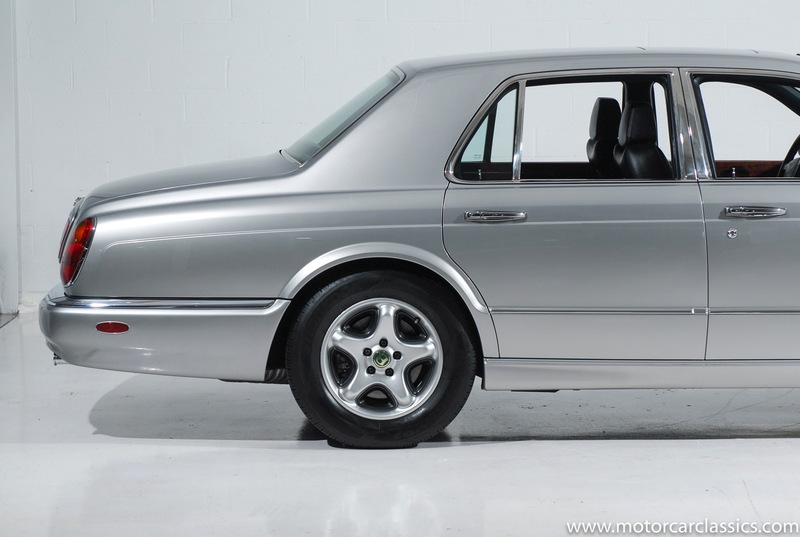 The Green Label Arnage is powered by a twin-turbocharged 4.4-liter V8 sourced from BMW, and the most recent owner has driven it about 1,500 miles. 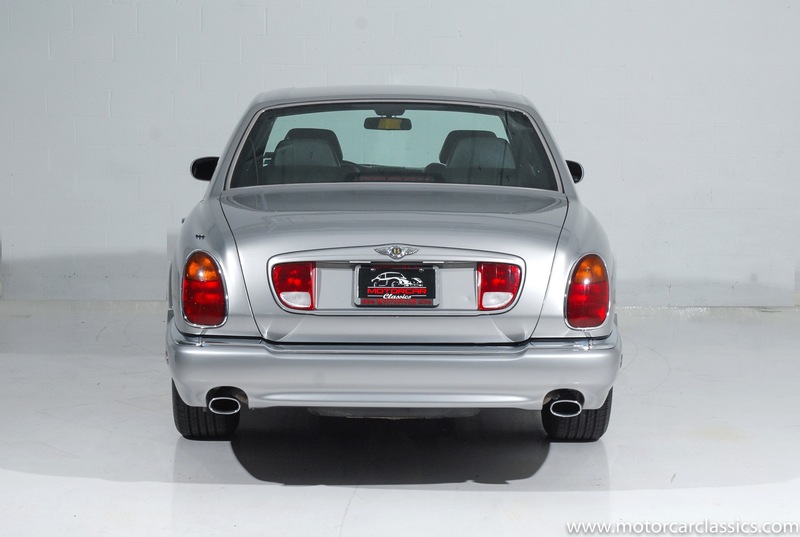 Sold new at OGara Motor Cars in Beverly Hills, this example has been maintained at Bentley dealers throughout its life, and a substantial service history is included. 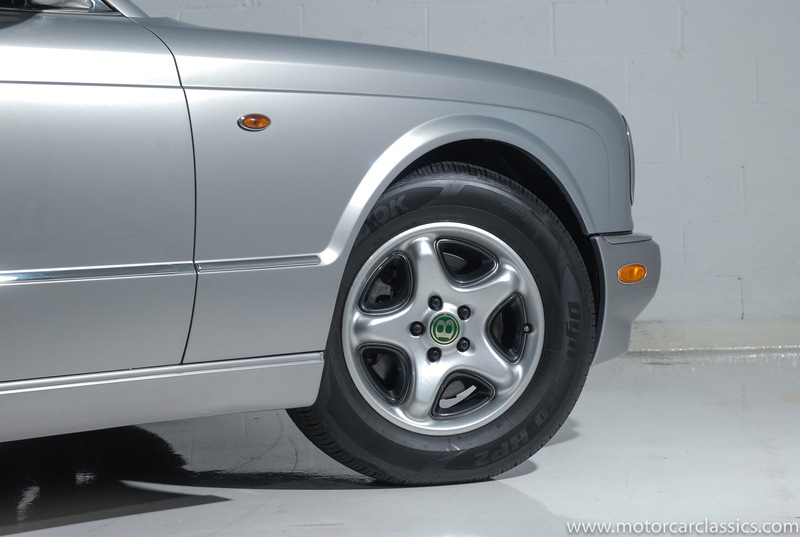 Factory 17″ alloys are shod with 255/60 Hankook Dynapro HP2 tires installed in October 2016. 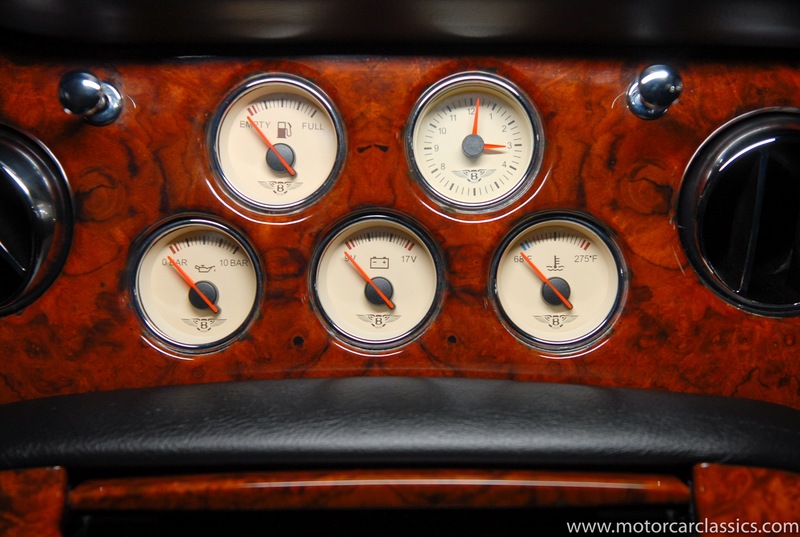 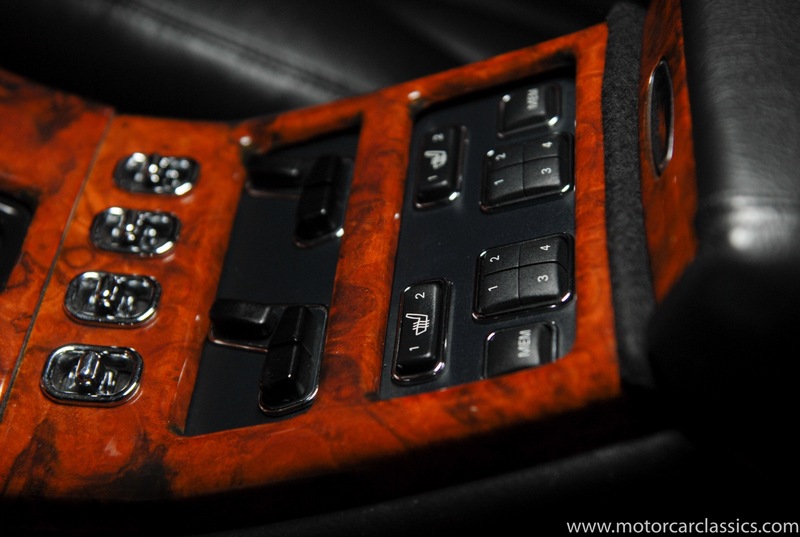 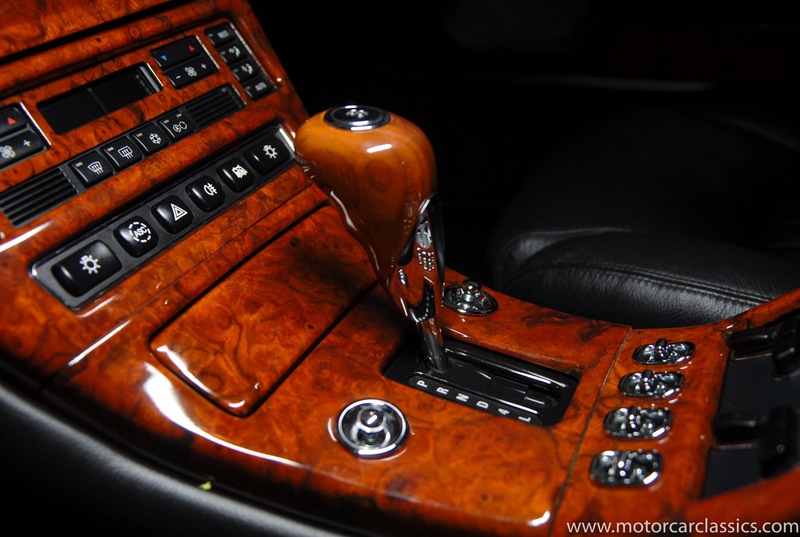 Wood paneling lines the dash and consoles. 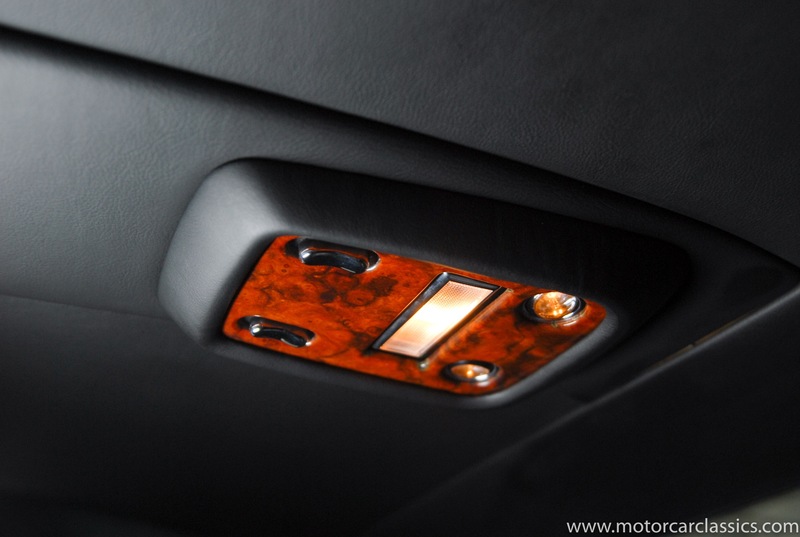 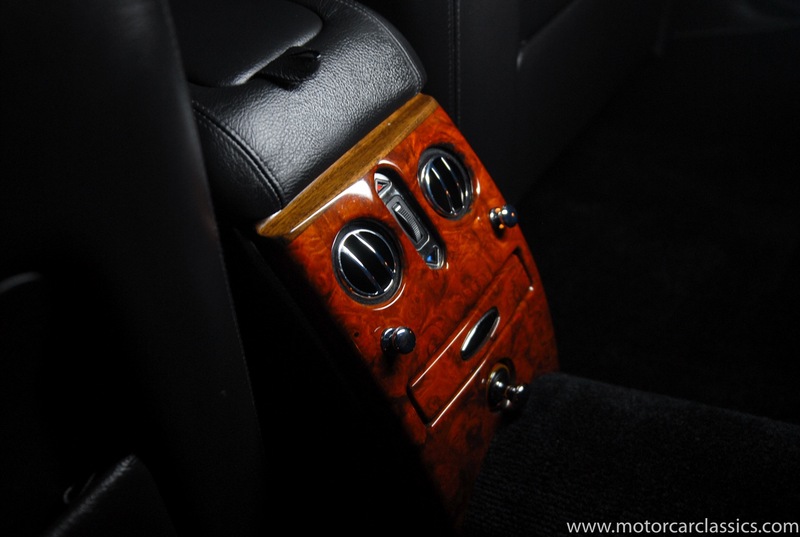 The optional full wood door trim was selected at purchase. 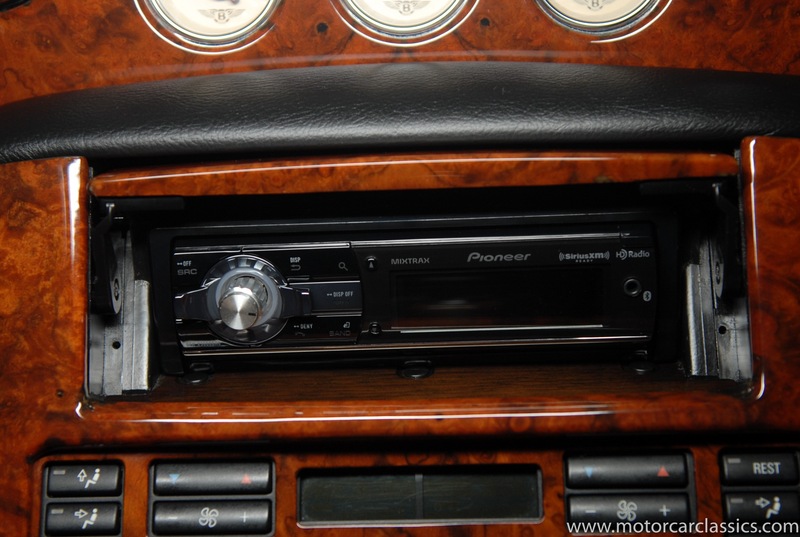 The original Alpine radio has been removed and replaced with an updated Pioneer unit with Satellite Radio, Bluetooth, and MP3 connectivity. 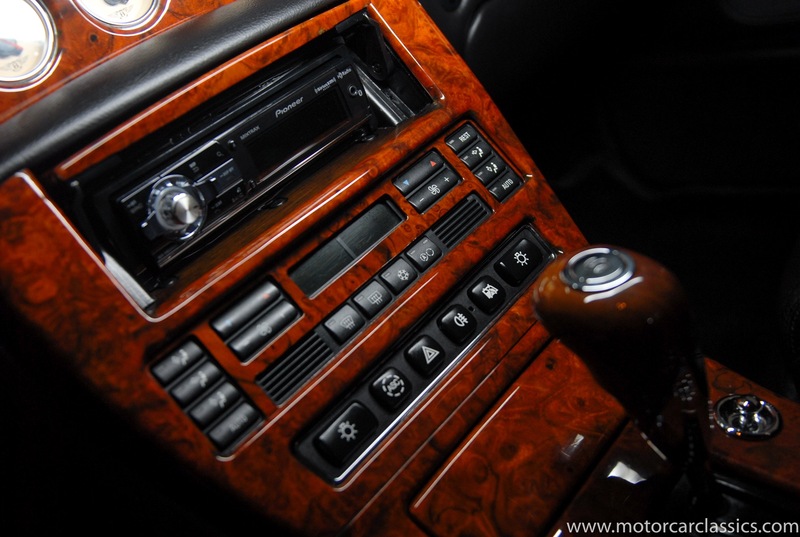 The older factory navigation and telephone handset were removed, and the flip-up compartment is now used for storage. 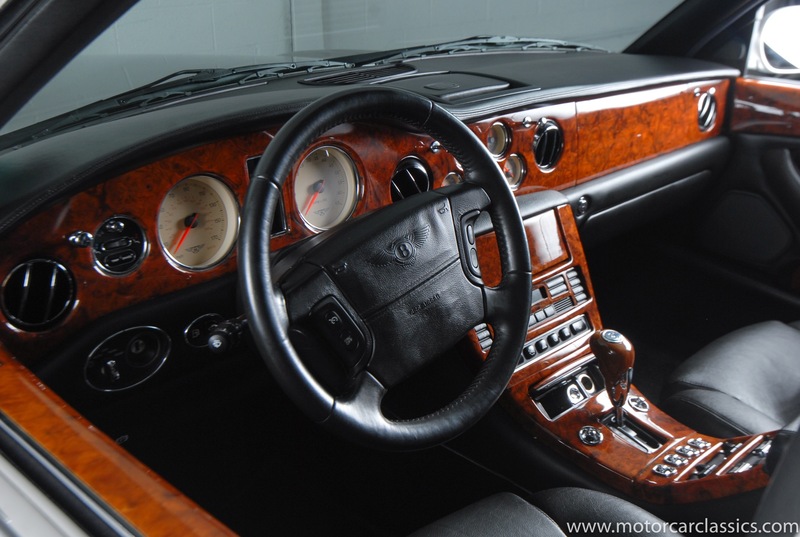 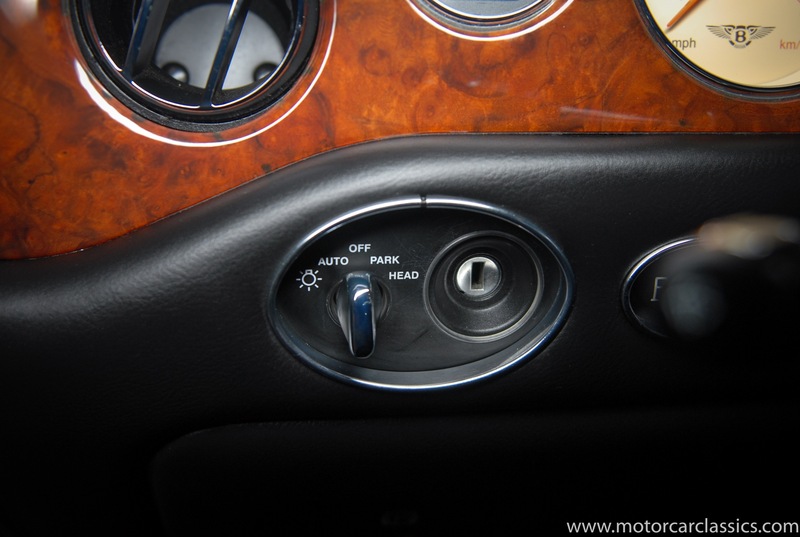 The steering wheel and other interior surfaces show virtually no wear. 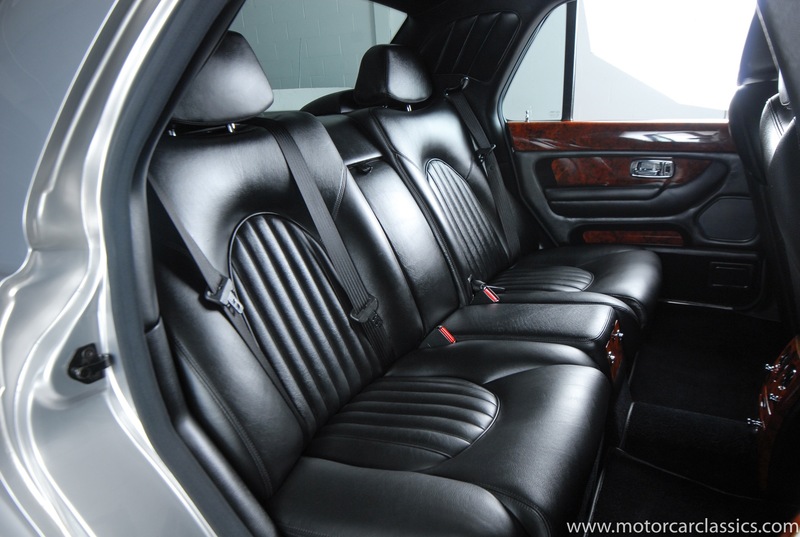 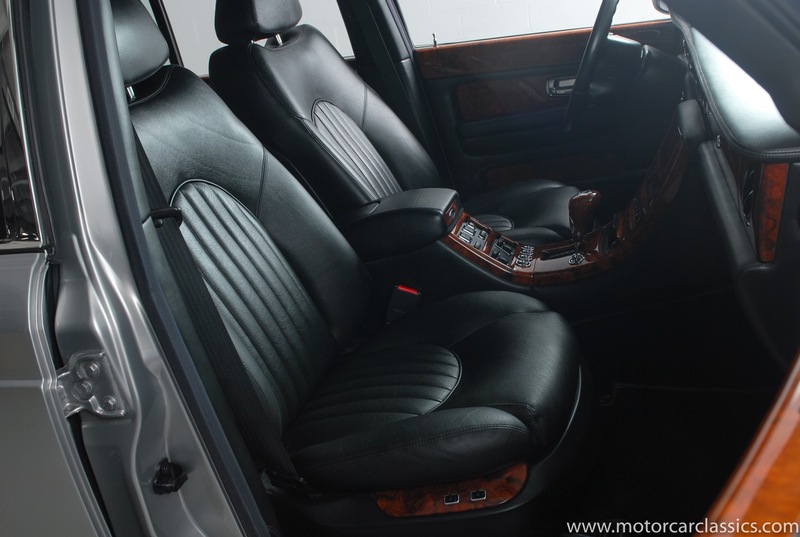 Leather upholstery is complemented with a leather headliner, and the interior features many power functions. 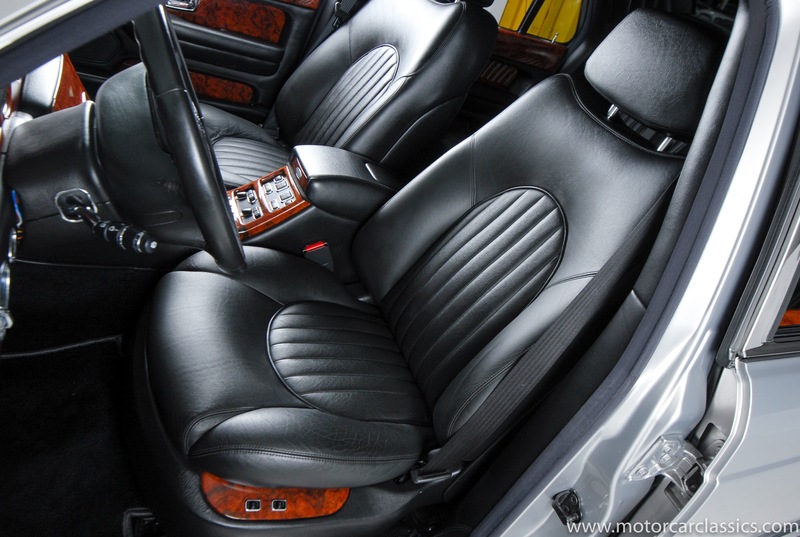 The car is equipped with the optional leather-lined sunroof. 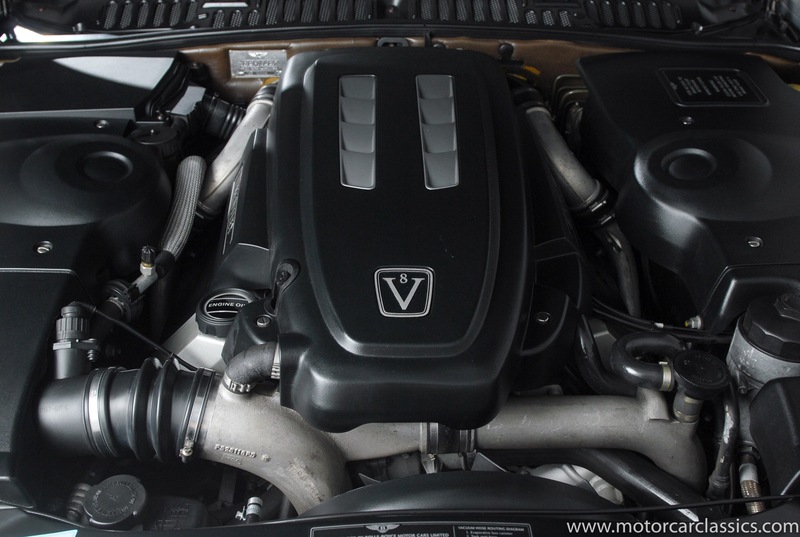 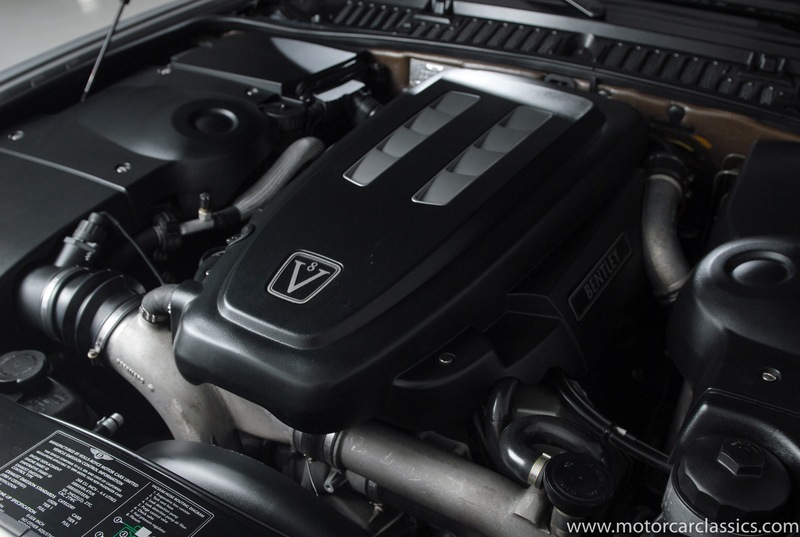 The 4.4-liter V8 is a BMW-sourced unit that was factory tuned by Cosworth and equipped with twin turbochargers. 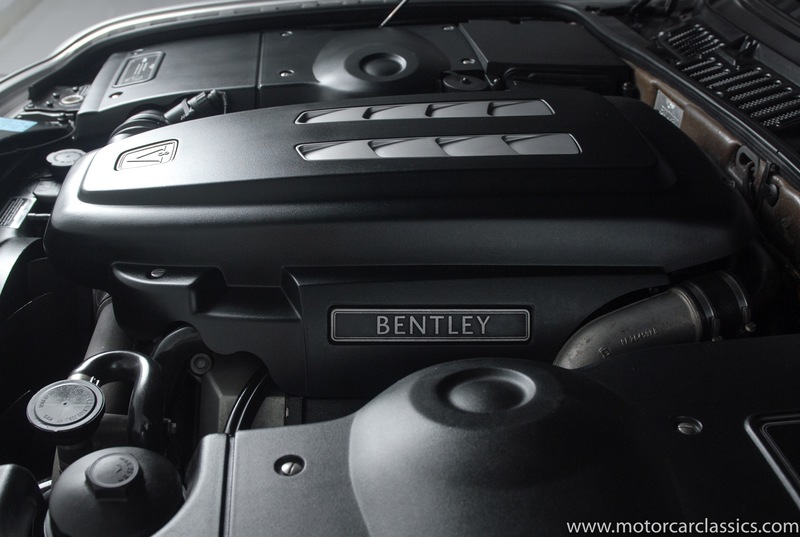 It produces 349 hp and 420lb-ft of torque sent to the rear wheels via a BMW 5-speed automatic transmission. 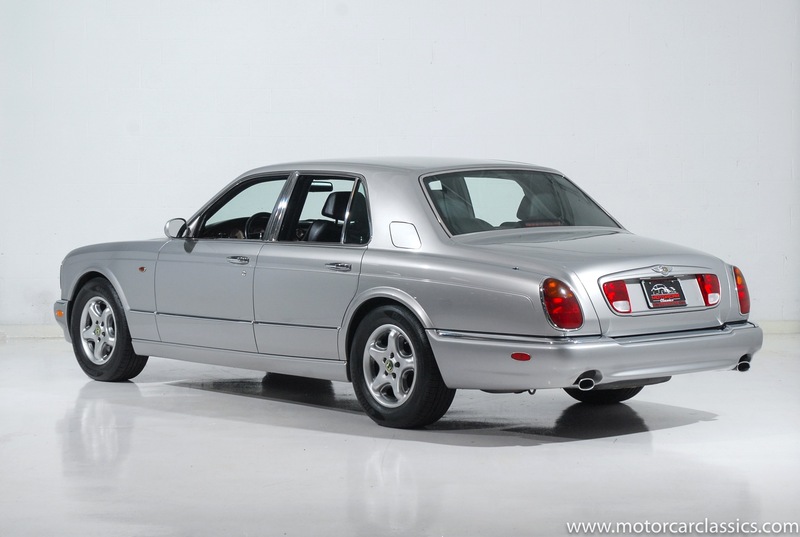 The DOHC motor was notably lighter and reportedly easier to service than the Rolls Royce 6.75-liter V8 that replaced it under VW ownership. 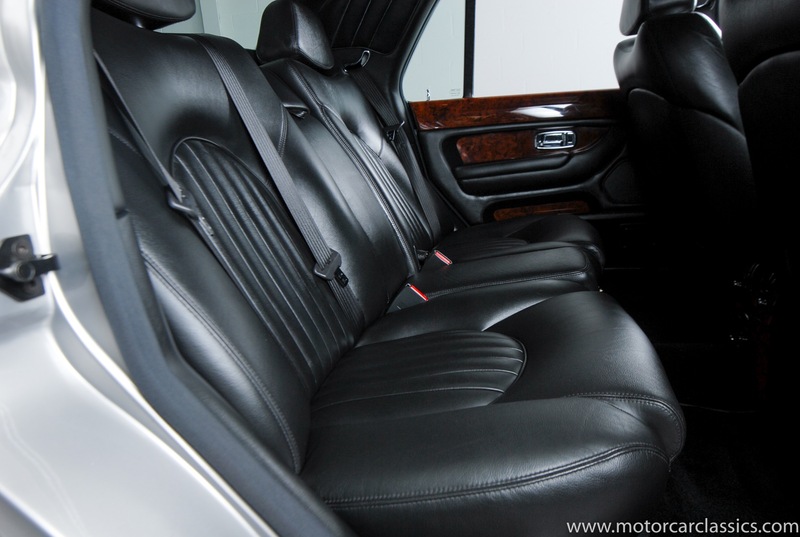 The car has been meticulously serviced since new. 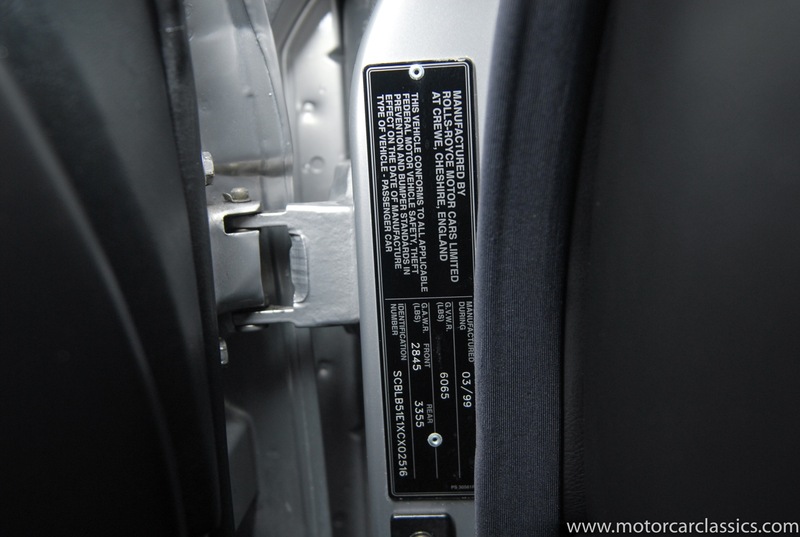 Factory manuals and booklets are included, along with two keys and remotes, and a recent Carfax report describes an accident-free history and California ownership prior to the most recent owners acquisition. 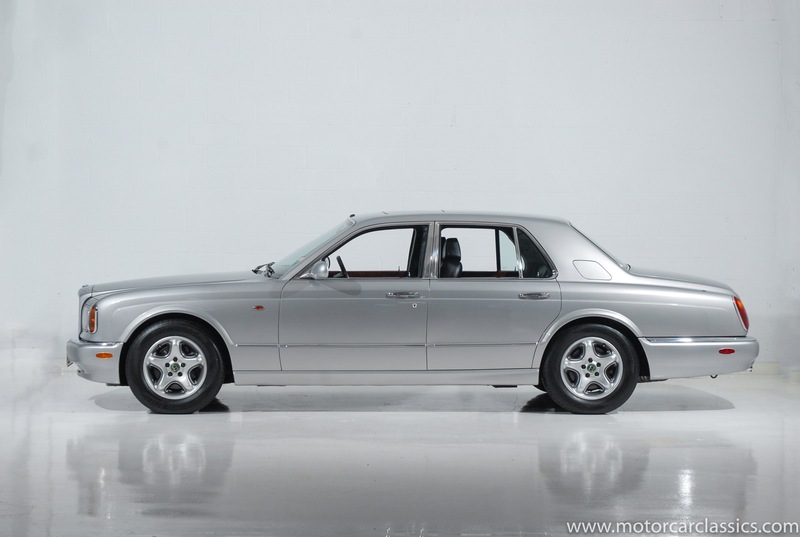 This is the best Arnage that we have had the pleasure to offer and it will take pride of place on the show field or on the road.